Dr. Sophia V. Mai is a board certified dermatologist. A native of New Orleans, she focuses on aesthetic dermatology. Dr. Mai is a stern believer of using sun protection, retinoids, and early preventative care to promote healthy skin and slow the signs of aging. Her training in the field of dermatology enables her to manage nuances of skin diseases, while utilizing nonsurgical and minimally invasive techniques to improve skin tone and texture. 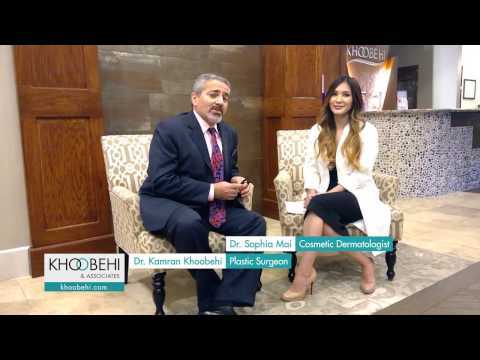 At Khoobehi and Associates, Dr. Mai performs all aspects of cosmetic dermatology, including skin care, lasers, injectables and hair restoration. She believes that it is never too early to focus on prophylactic aesthetics and wants to de-stigmatize these procedures, specifically in younger demographics who may be too afraid to seek treatment due to being “overdone” or appearing unnatural. And while these aesthetic procedures have traditionally been geared towards female patients, Dr. Mai believes that it is important that the modern man be included in these discussions, which is why she uses state of the art robotic technology to perform hair transplants and restore confidence and youth in her male patients. Being Vietnamese-American in ethnicity, she is also adept at managing skin health and safe aesthetic practices unique to treating skin of color, with emphasis on hyperpigmentation, melasma, and scarring. Dr. Mai also sees medical dermatology patients in Slidell with her fiancé and mother-in-law, who are both board certified dermatologists. Prior to entering medical school, Dr. Mai attended Benjamin Franklin High School and from there went on to attain her Bachelor of Science from Xavier University. She received her medical degree at LSU School of Medicine in New Orleans, where she was elected into the national honor medical society, Alpha Omega Alpha, in her junior year. She was also one of only two distinguished students to be selected as their scholarship recipient, recognizing her outstanding academics and service on and off campus. At graduation, Dr. Mai was presented with the Dean’s Award in recognition of her leadership to benefit the student body. Following medical school, she began her internship in Beverly Hills, California at Cedars Sinai Medical Center where she was introduced to the aesthetics aspect of dermatology. She subsequently returned to New Orleans where she completed her residency training in dermatology at LSU. In addition to her work in private practice, Dr. Mai takes care of the local veteran population as a staff dermatologist at the VA hospital, and remains active in academics, teaching and lecturing dermatology residents and medical students, as an associate clinical professor of LSU School of Medicine. Dr. Mai is board certified in dermatology and is licensed in Louisiana. She is a diplomate of the American Academy of Dermatology, American Society of Dermatologic Surgery, and Skin of Color Society. She is also a member of the Louisiana Dermatological Society.